Have you seen the story about Google’s search for what a healthy person looks like? Mapping the whole body in a quest to answer the question what does a healthy person look like Google says is purely scientific, although one has to wonder about that. The genius of Google has always been the ability to look at big data and using algorithms, pull out data to target specific sellers with specific buyers. How DNA, protein enzymes and diet all work together is an ambitious task and the conclusion is still an unknown, but the point remains that if Google undertakes this project they have an objective in mind. 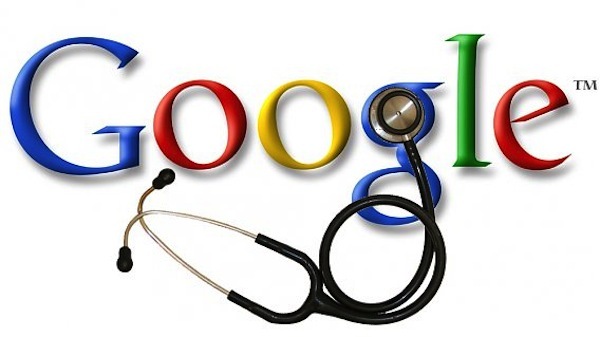 There are many questions still unanswered by Google, like patient privacy issues, but the average healthcare practice can learn something from this project to create a better practice. And isn’t that what healthcare management is all about; creating a superior practice for providers, patients and employees? Three things jump out from the Google project. Strong leadership – a strong leadership that engages all employees at every level on the goals of the practice is a must for success. Whether that leadership is the provider or a practice manager largely depends on the investment the practice is willing to make in strong leadership. Almost all successful practices that are willing to invest in strong management with superior qualifications and background will reap rewards they had not previously determined. A strong provider can lead the vision of the practice, but a strong manager (CEO) determines the sustainability of that vision. Strong healthcare management can only be accomplished through daily, hourly engagement of the management team (other than the provider). IT infrastructure – Another element of healthcare management success is a solid health IT infrastructure. Electronic health records and other IT capabilities help providers expand their clinical analytics and population health management, thereby improving their ability to conduct risk assessments, stratify patients, preempt non-adherence and prevent hospital readmissions. How important is clinical analytics? Ask Google. Managing the health of your patients is much more than waiting for problems to arise and treating those problems. It’s anticipating those problems and front-loading solutions that will characterize the future. Patient engagement tools that work – Engaging patients in their own healthcare is a must. It’s more than educating and communicating…..it’s interactivity that results in patients investing in their own healthcare and can be demonstrated through increased reimbursements. IT will play an important role in the patient engagement….from mobile apps to patient portals to preventive services to daily monitoring and reporting. The average healthcare practice of the future will look and feel very different from today’s average practice. Perhaps the most important factor to the future will be the role big data analytics and the application of results to real patients, real time. Maybe Google’s quest for what does healthy look like isn’t “sci-fi.” Maybe it’s mapping the future of healthcare while they are mapping the healthy body.